Closing up the Saturday show-report, I forgot to mention how Jeremy and I closed out the day - meeting Karen Gillan. While the lines were as crazy as the lines for Stephen Amell most of the day, the crowd after 6 pm had died down to something quite manageable. We didn't get much time to talk but I did get an autographed photo and was able to communicate how much I loved her work without drooling over myself That's not hyperbole - I have a weakness for red-haired women and Scottish accents, making Karen a double-threat to me. Sunday, I had three major goals. Meet Seventh Doctor Sylvester McCoy, get something signed by Justice League artist Kevin Maguire and take as many cosplay pictures as possible. I was successful on all three counts. 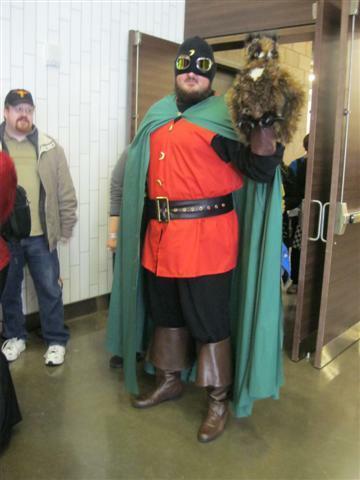 But as I worked on editing pictures the night before, I decided to add another goal to the day - premiere a cosplay I had joked about doing but never seriously contemplated. Why not? Well, it was a cosplay idea that spun out of a joke between friends on Facebook. But then I figured - what the hell? Anyone who gets offended by my doing an intentionally cheap cosplay based on a joke that made a lot of my friends laugh isn't worth considering. I'm not disrespecting all the people who spend a lot of time and money and effort on their costumes - just having a laugh at a figure who could stand to be taken a bit less seriously. 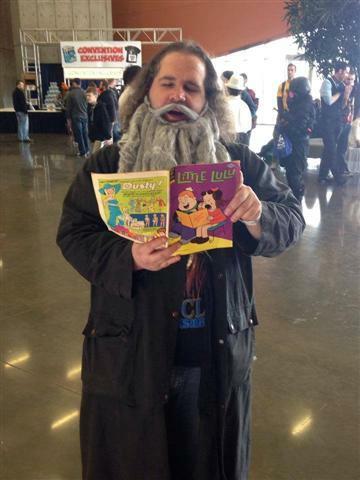 So that is why I cosplayed Alan Moore. 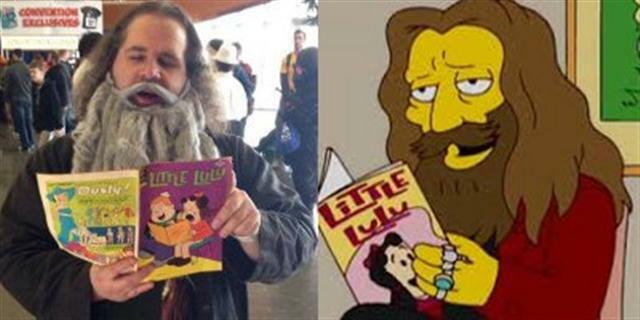 And for those of you who are wondering why Alan Moore is reading a Little Lulu comic, it's a reference to Alan Moore's cameo on The Simpsons, playing himself in the episode "Husbands and Knives". Of course there are dangers in being Alan Moore. 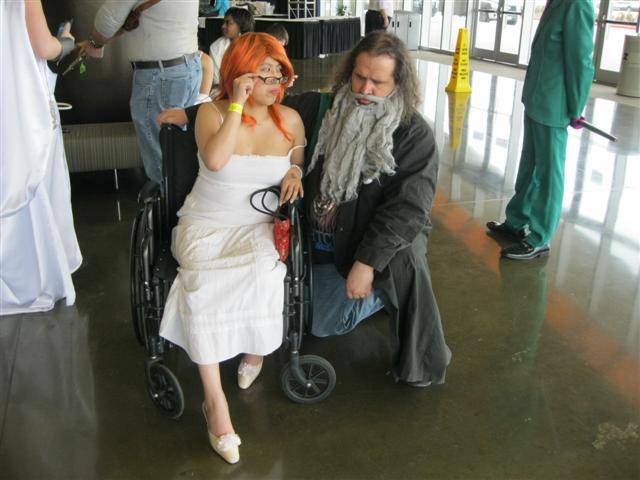 For one thing, it really annoys the Oracle cosplayers. "I told you! I wrote The Killing Joke as an Elseworlds! DC Editorial made it canon!" Actually, that's my friend Dianne - who was part of a group of ladies who were recreating Adam Hughes' Women of DC print. We'll be seeing more of them a little later on. But before I got pictures of them, I was lucky enough to get a number of other good pictures. 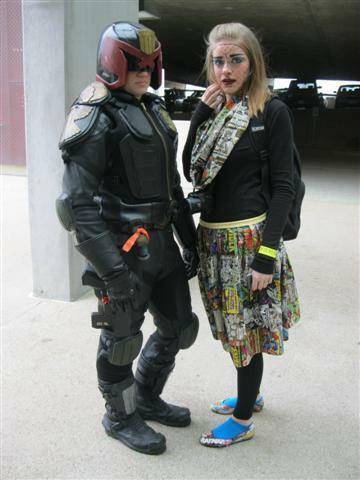 Judge Anderson from 2000 AD and a young lady with a most creative costume - a classic comic-book version of herself. Her dotted-make-up was meant to simulate four-color printing. 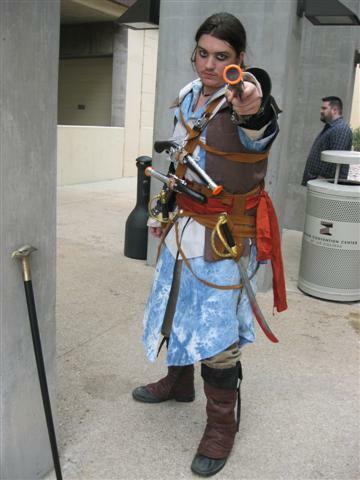 Edward Kenway from Assassins Creed IV: Black Flag. 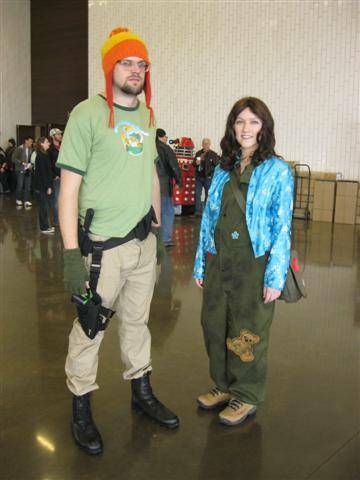 Jayne and Kaylee from Firefly. 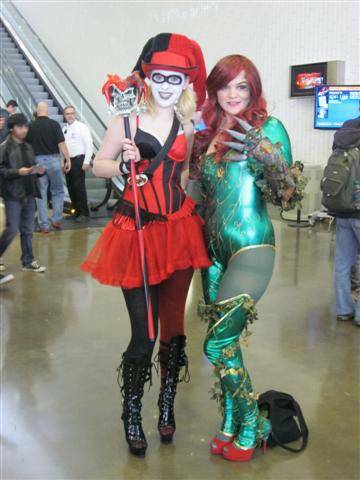 Harley and Ivy, together again. 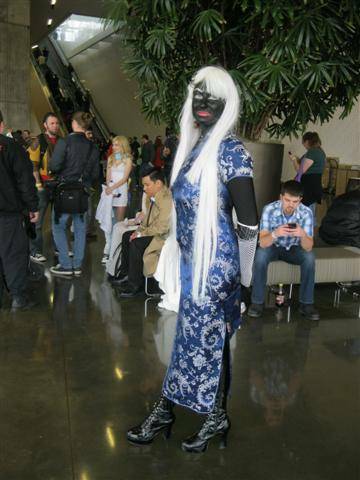 I took a picture of this Drow lady a year ago. 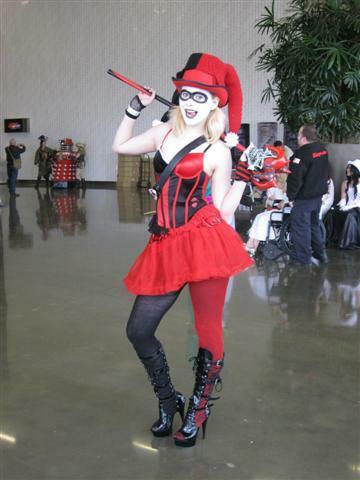 Alas, it seems her cosplay group that I linked to last year no longer exists. Still a great costume, though.